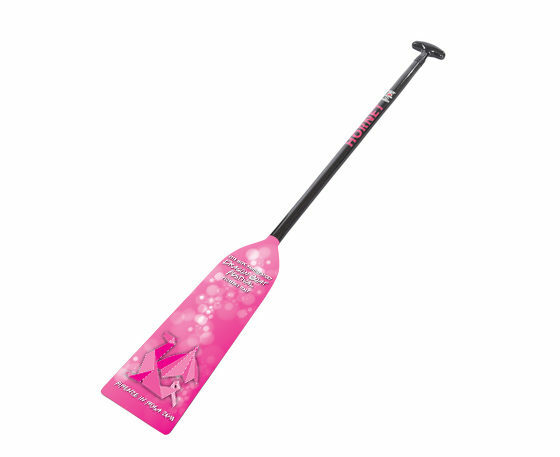 THE 2018 COMMEMORATIVE PADDLE IS NOW AVAILABLE ONLINE! 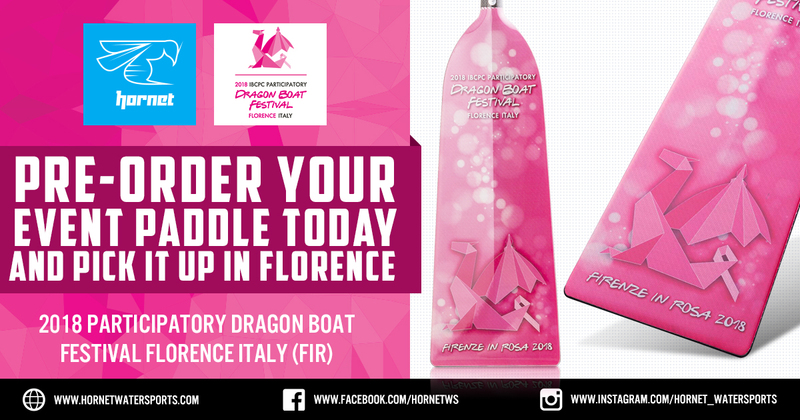 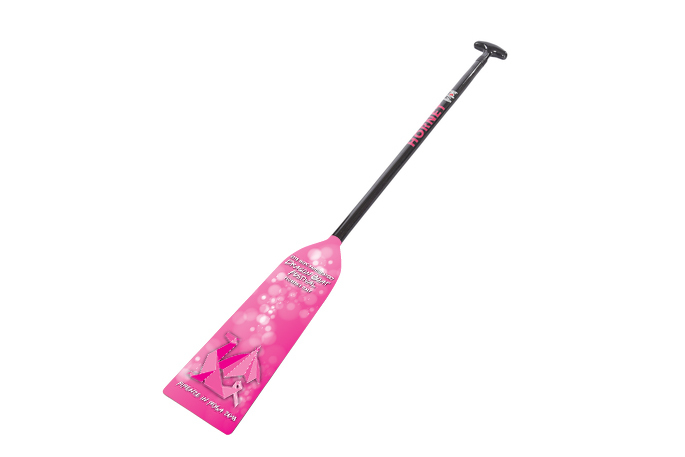 The 2018 commemorative paddle, created by the Florence Organizing Committee, FIRENZE IN ROSA Onlus, and manufactured by Hornet Watersports, will be a unique paddle. 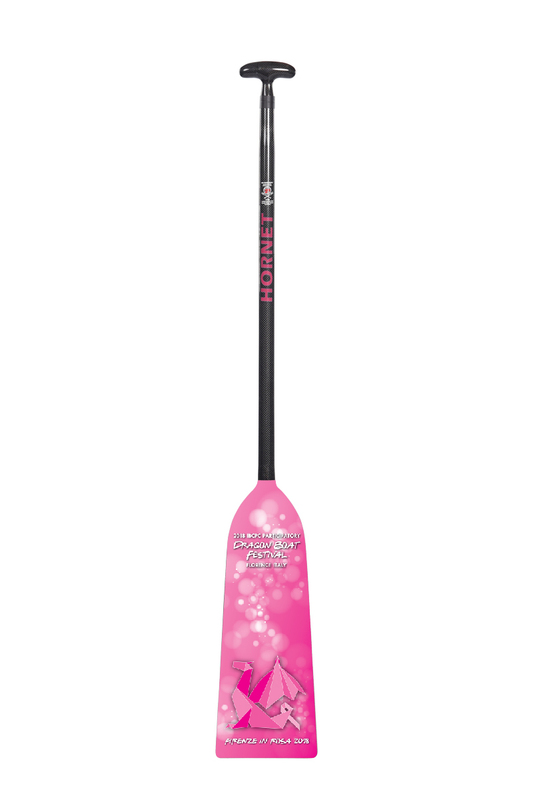 The new Hornet STING model (IDBF license #3523) is the model we have chosen for the 2018 commemorative paddle. 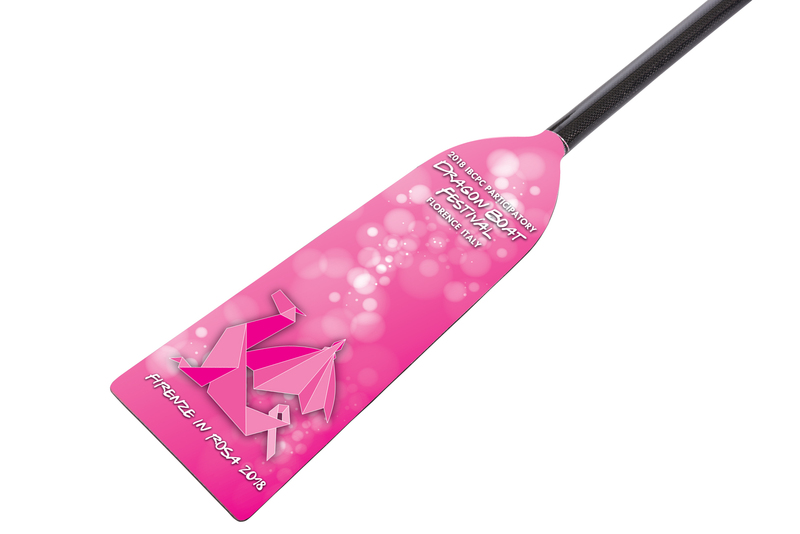 The STING Dragon Boat paddle empowers you to perform at your best. 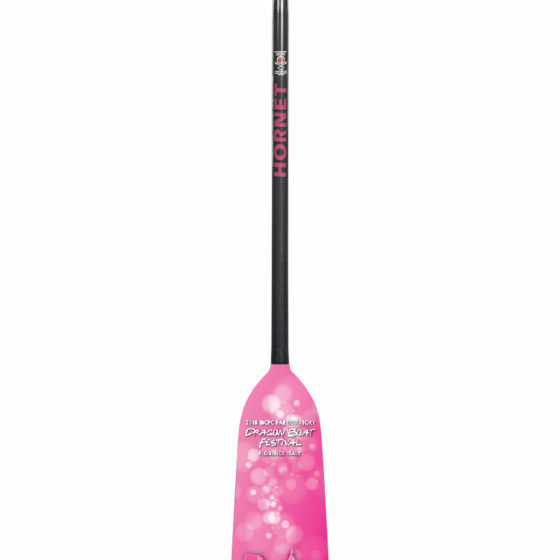 IDBF approved, this carbon fiber paddle is strong, lightweight and meets all the criteria for international competition. 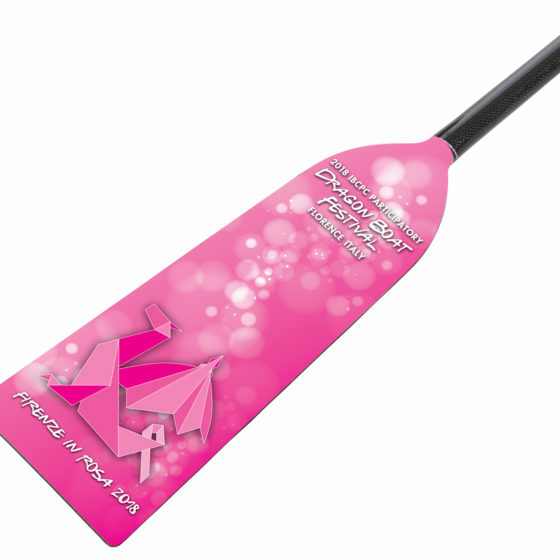 The commemorative paddle will be available for purchase on the Hornet Watersports website only.